Today it rained for most of the day until about 4.00pm. We continued with our programme of visiting National Trust properties in the South Devon area by visiting Compton Castle and Bradley Manor, both near Newton Abbot. Compton Castle is a rare survivor of a mainly medieval castle - really more of a fortified manor house. 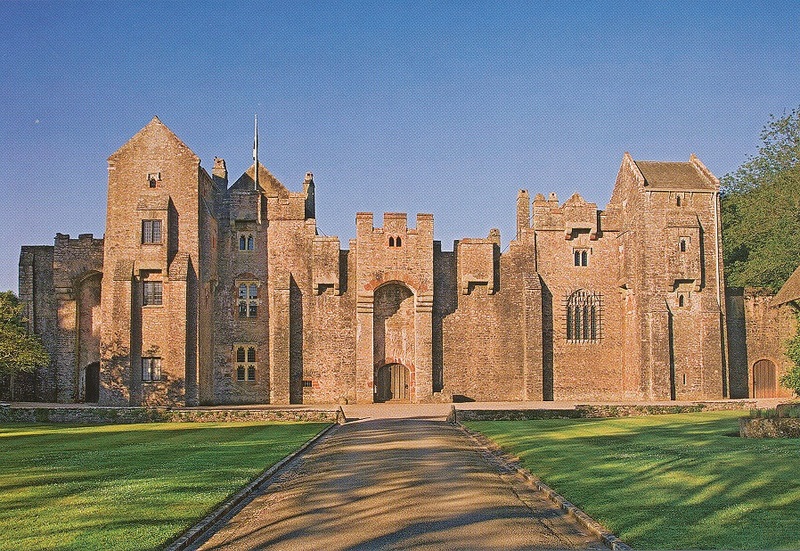 It retains its curtain wall, one turret, the great hall and the great kitchen. Other rooms include a Chapel, a Solar, and other living rooms. The Gilbert family, related to Sir Walter Raleigh, have held the castle for much of the period from about 1300 to the present day. 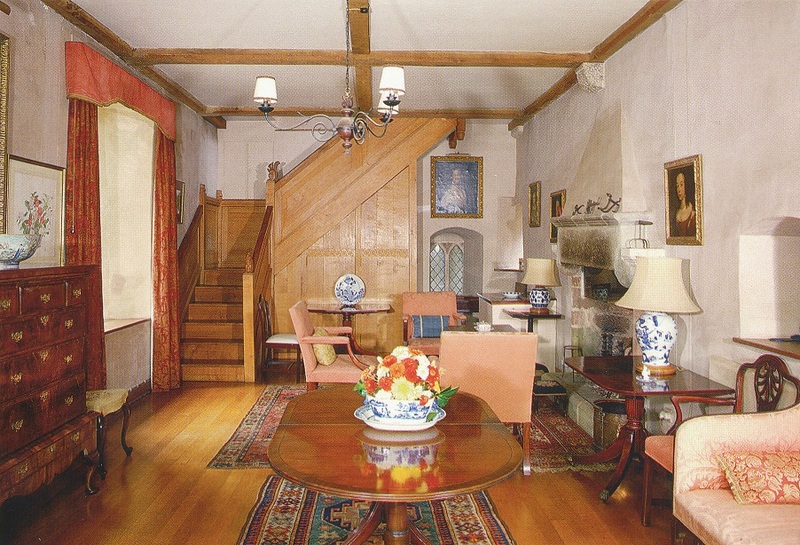 Whilst the castle has been donated to National Trust, the family still live in an apartment in the castle. Quite a lot of restoration was been done over the last 50 years - the Great Hall roof has been restored and most of the present living rooms made habitable. Images from post cards as photography not allowed. Front view. Kitchen. Great Hall. After stopping for some lunch in a pub (neither of the NT properties have a cafe or restaurant) where we were able to dry off, we continued on to Bradley Manor. This very old house was built over several periods from medieval to victorian for families who were farmers. The property was donated to NT with the last family granted an apartment. There are no direct descendants of the current family so that arrangement may end in the future. 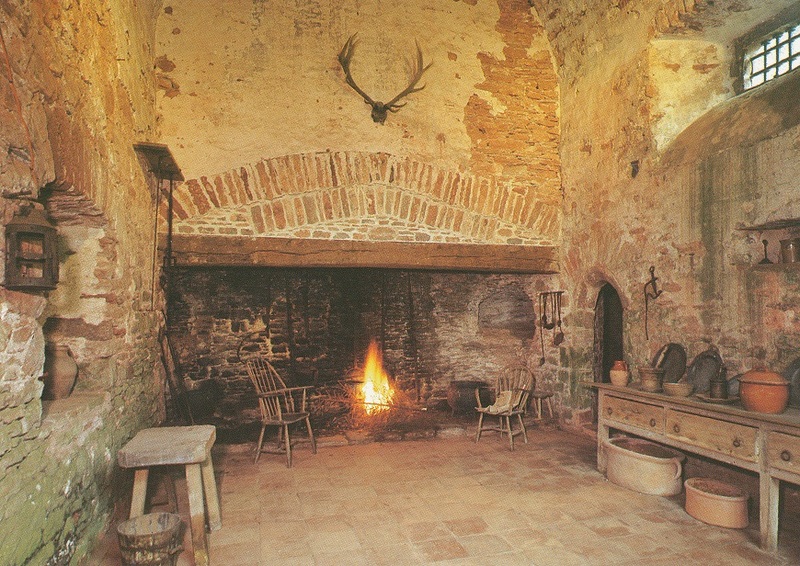 Elements of the medieval building can be seen in the Great Hall, the kitchen and other rooms. It is a very cold building, which even big fires make little impression upon. 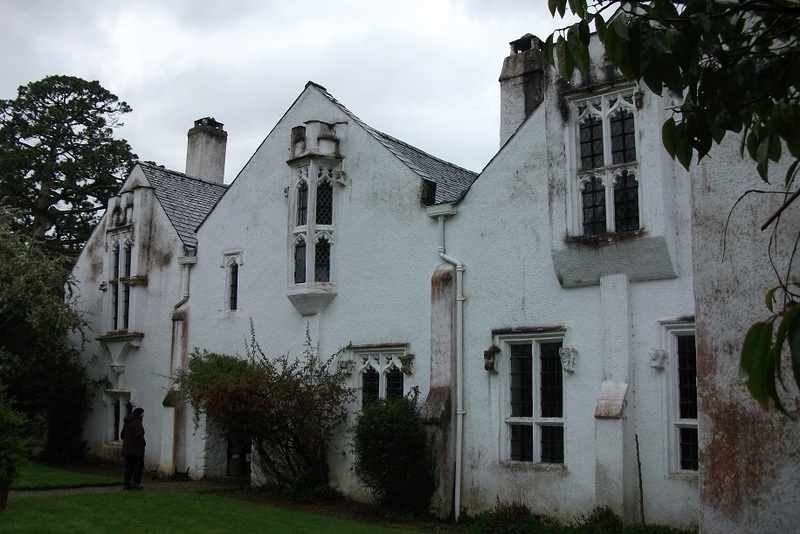 Front elevation of Bradley Manor. No other photographs possible.